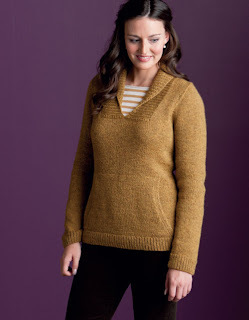 Moving right along with the Finish-Free Knits projects… this week we'll discuss the Trust Pullover! 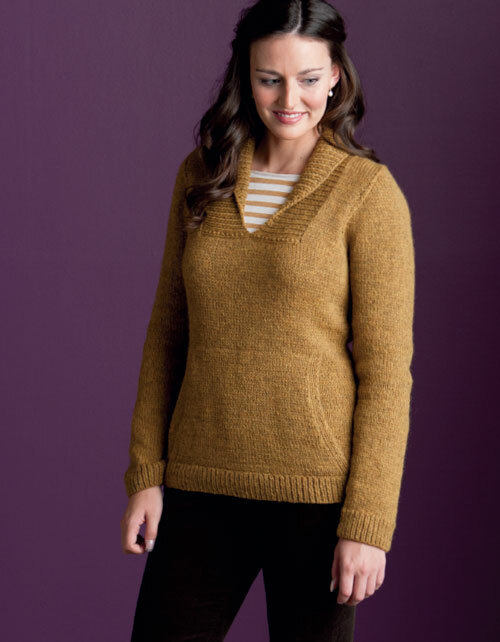 Worked primarily in stockinette stitch, this casual pullover features a wide ribbed shawl collar and a shaped pouch pocket. 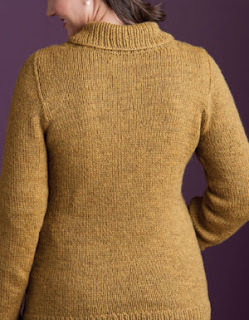 The body and sleeves are worked separately to the armholes, at which point the upper body is worked in one piece to the neck, with set-in-sleeve shaping along the way. The simple design and no-fuss finishing make this a trustworthy addition to any wardrobe. This sweater is visually simple, and even though there is a lot of Stockinette Stitch, it has enough going on to keep the knitting process interesting! The simple Stockinette stitch pattern is an ideal pattern to learn any new technique. It lets us focus on the increasing, decreasing, etc… without worrying about making sure we're maintaining a complicated pattern. This pattern uses a bunch of really fun techniques to make the seamless construction possible, and some others that are for visual appeal and functionality. 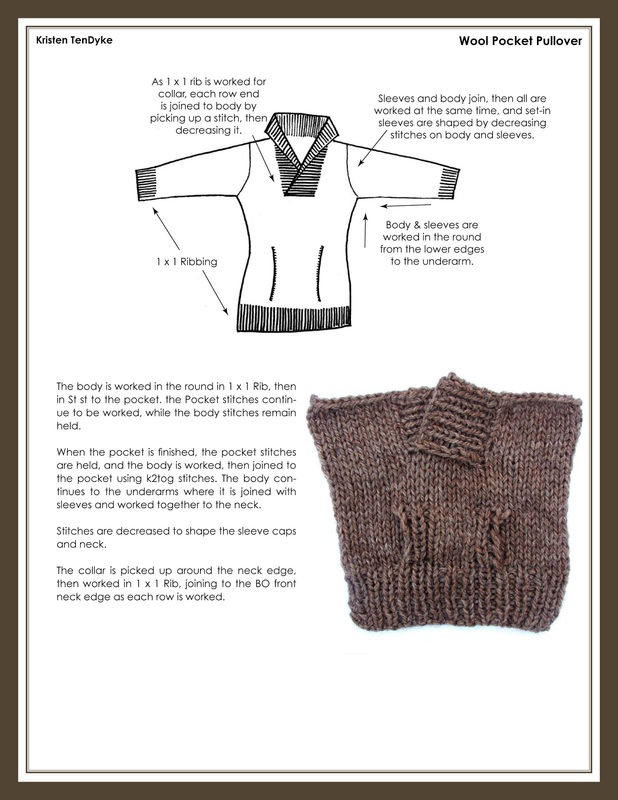 • Circular knitting on both sleeves and body, with appropriate sleeve and waist shaping. 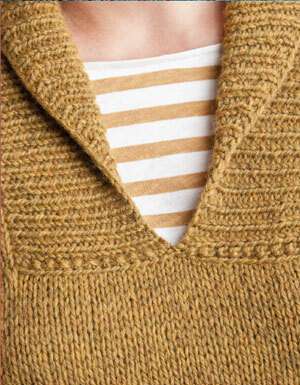 • Shawl collar, that is joined to the front neck while it's being knit. All the instructions are included, and the pattern does a good job at walking you through each step one at a time, without any confusing "and at the same time" instructions! I really enjoyed the knitting process of this sweater. 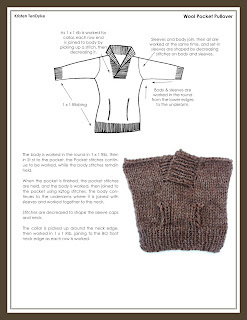 The Stockinette stitch helped the easy parts fly by and made the techniques easy to learn. This was a learning-process sweater for me too! 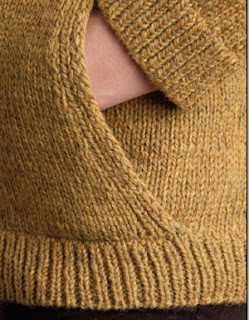 Before this sweater, I hadn't ever knit a pocket like this. When I finished knitting and tried it on the first thing that came to mind was "What a trusty sweater!" meaning: I'd wear this every day, and it would be my go-to sweater! That's how it got its name: Trust. I really can't wait to get this one back from the publisher so I can add it to my trusty, every-day sweater rotation!